For many people, being able to bring your computer with you anywhere you go is essential. However, you must ensure that you have the proper carrying case or bag to provide enough room for all of your laptop’s accessories including a charger, headphones, or a mouse. This article will offer our top recommendations for transporting your laptop, netbook or other portable computing device. There are two different ways to transport your laptop, with a backpack or a bag. Backpacks, as the name implies, you wear over your shoulders so you don’t have to carry the laptop. 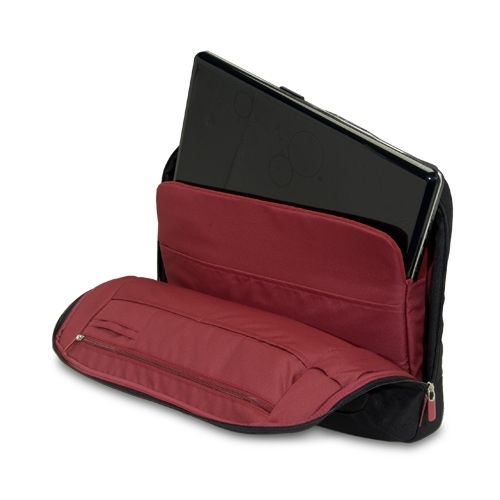 This enables you to have full use of your hands while keeping the laptop and all its goodies nice and safe. Bags look similar to a briefcase and generally have a shoulder strap or handle for you to use. Both are great ways for keeping your laptop safe and protected and it ultimately comes down to personal preference which style is right for you. Starting with backpacks, our top recommendation is the Ultra U12-41427 Knight Notebook Backpack . You’ll notice immediately that this backpack features plenty of storage for all of your laptop accessories. There is also padded support between the pack and your lower back, which is great because it keeps the laptop nice and protected as you move about. Other nifty features include slots to store pens or pencils and room for books, magazines, or computer manuals. The pack is also very affordable as well, catapulting it to our top selection. Overall, it is a great way to move your portable computer and you won’t be disappointed with it. 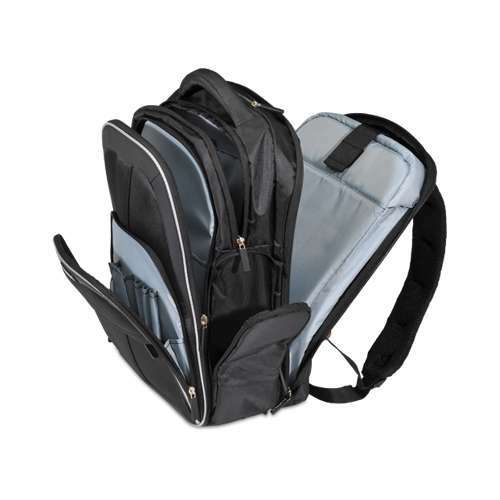 Our top recommendation for a laptop bag is the Belkin F8N051-BR Messenger Bag . Capable of holding laptops with a screen size of up to 17 inches, this nice bag has a very affordable pricetag as well. You will find lots of great storage that can provide a cozy home for your favorite laptop accessories. Ideal for the plane traveler, the laptop bag is easy to bring through security as the compartments open up quickly to reveal their inhabitants. With that we have elected two ideal candidates both worthy of transporting your laptop or netbook. With each you will have plenty of storage for accessories, important documents, chargers, USB drives and much more. The price is also very appealing as well, with both of them checking in right around the $35 range. Who knew that safely transporting your laptop with lots of great storage could be so affordable?